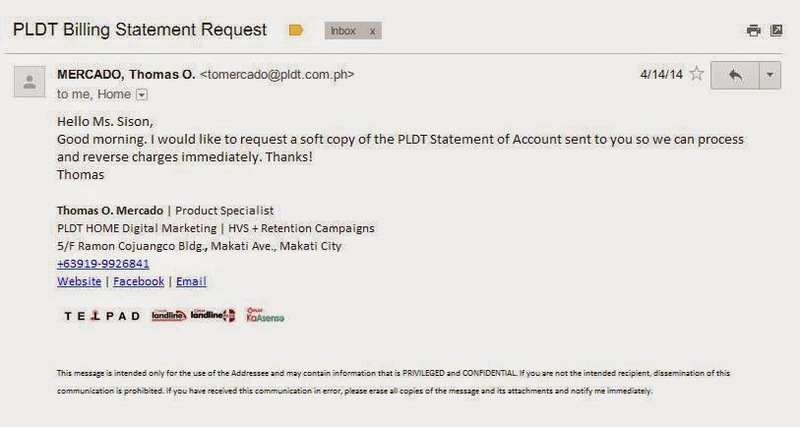 Last January 23, I sought the help of Department of Trade and Industry (DTI) with regards to UNFAIR practice, and misleading facebook campaign of PLDT Kaasenso on the PLDT Cyberya Blogger Challenge which concluded in December 2013. I called DTI Hotline (02) 7513330 to seek help on putting an end to the collection calls, collection SMS, on top of the PLDT demand letters and demand letters from PLDT's 3rd party collector being sent to my residence. DTI initially told me that PLDT cases are under the jurisdiction of NTC. I had to explain again that I am not complaining about a PLDT service but on PLDT's deceiving facebook campaign that resulted to collection harassment running for more than one year! I have exhausted all channels (SMS, facebook notifications, on top of emails to DigitalFCB and PLDT employees involved in the facebook blogging campaign to no avail! Worse, PLDT had engaged the services of a 3rd party to collect, much to my dismay! This problem resulted from the PLDT DSL line that PLDT San Pedro activated in January 2014 intended for the Cyberya unit that was delivered to my home in March 2014. As one of three finalist of blogging contest that I joined, I get to enjoy a FREE 2-month experience running a PLDT Cyberya negosyo. The business concept is similar to "piso-net" that allows a customer to use internet for 4 minutes for only one peso cost. I have raised my concerns as early as FEBRUARY 9, 2014 as to why I am being asked to pay when blogger-winners were supposed to get the unit free for 60 days as stipulated in PLDT contest mechanics. I need internet connection to enjoy the prize I won. I never went to any PLDT office to file an application for internet connection! Why would I pay for DSL when it is supposed to come free with the 2-month cyberya experience? Had PLDT DECEPTIVELY forced me into a PLDT DSL subscription by using a MISLEADING Facebook Promotion? Problems start coming in even before the PLDT Cyberya UNIT was delivered to my home. After successfully contacting PLDT and relaying my problem on the progressive billings, PLDT and DigitalFCB (their PR Agency) invited the 3 of us to meet up with them at their Makati Avenue Office on April 10, 2014. I was glad thinking that I will soon be enjoying my FREE 60-day use of Cyberya and finally one step away from winning my own coupled with FREE one full year DSL. I was also looking forward to being freed of accountability related to DSL plan 1300 (DATA) ESS18-02201-4-2-5982 problem. 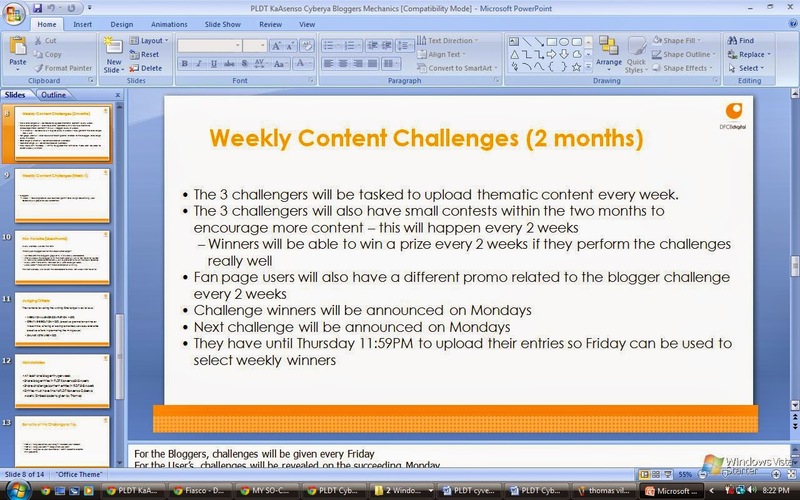 PLDT revised its contest mechanics to include an 8-week writing challenge! Instead of one unit review that would serve as our final entry to winning the Grand Prize, we were now being asked to compete in an 8-week writing challenge. 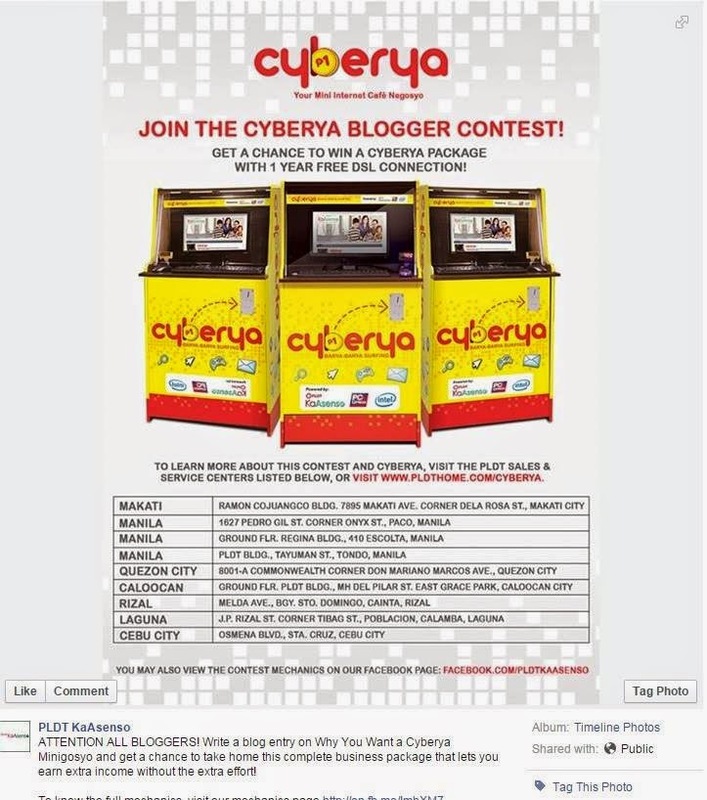 The come on was that there were weekly prizes to be won by bloggers in addition to taking home the unit plus our blog readers get a chance to win another Cyberya unit at the end of 2 months. While appalled at this new twist in the mechanics, we all went with the idea. We were told to entice readers to engage and posts comments in our own respective blogs, More comments would mean more chances to win. We were asked to procure a business permit as a pre-requisite to the delivery of the PLDT minigosyo unit. And just when I had my entry for first week uploaded on April 21, 2014 (and still no stable internet connection), Norman Padilla of DigitalFCB informs me via SMS that the Cyberya unit for blog readers had been scrapped out of the mechanics! In addition, thc blog comments they initially required now shifted to commenting on PLDT Kaasenyo Facebook fanpage updates! These nerve-wrecking changes plus substandard DSL connection made me decide to drop out of the weekly challenges. Gelmie of PC Express requires that I pay 500 pesos for technical support per visit! When my request for technical assistance remain unheeded, how can I share a good minigosyo experience using Cyberya unit? Why would I concoct lies and promote something which I find anemic in performance? Dhona Apacible and a certain Marlon kept calling on July 10 to advise me of impending pullout schedule. The PLDT cyberya unit assigned to me was eventually pulled out last JULY 11, 2014 BY RAMIL B. PARAGAS OF PROMO EDGE CORP. (PLDT SPECIAL EVENTS ID NO 4982). Sadly, the collection letters, myDSL Plan 1300 collection calls kept on pestering me and my home! This problem has been causing me great stress and had resulted to family disagreements. On january 23, 2015, I received a DEMAND LETTER FROM E.B.TAROBAL asking me to settle 24,288.67 in TEN DAYS. Fed up with the PLDT's INDIFFERENCE AND INACTION, I sent a text blast to all concerned PLDT employees, DigitalFCB staff to take action once and for all. Still, no answer. 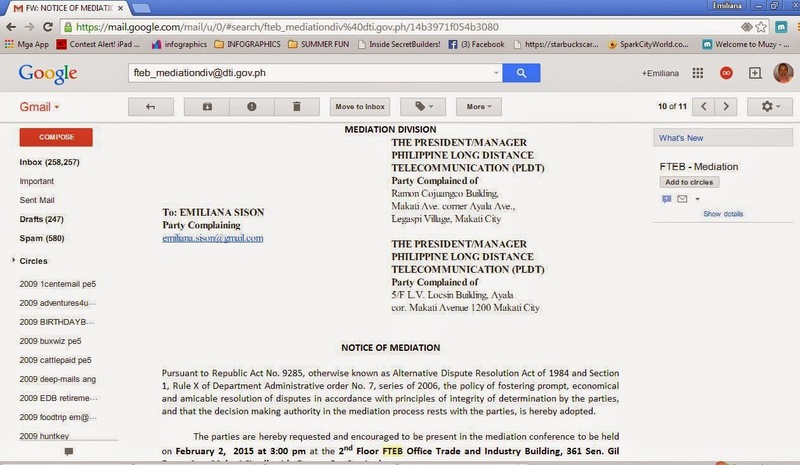 I sent a complaint to fteb_mediationdiv@dti.gov.ph regarding my circumstances. I received a notice of hearing slated for January 28, 2015 which was ignored still by PLDT! I took a leave of absence from work to attend the 8AM hearing at DTI Buendia Office (a stone's throw away from PLDT Makati Avenue Office) to no use! I told the mediation office that I will not pay for a service I didn't sign up for. I demanded that PLDT should relieve me of accountability related to the blogging engagement problems they themselves created. I asked for a tangible document that resolves this matter and clears me from any accountability on top of the formal apology. I was told by Ms. Roque that another hearing date (February 2, 2015) will be set and that I need not attend it since she finds my claims to be valid. While a certain Atty. Lopez represented PLDT on the second mediation schedule, another person by the name of Franz Nadela contacted me through cellphone. I made my demands clear during our conversation but he sent out an email that I find too arrogant in tone. To me, it was merely an acknowledgement that PLDT had found my complaints to be valid, not really a case closure. Saying that it took PLDT a TAD BIT LONGER than its usual resolution time WAS AN UNDERSTATEMENT! PLDT deliberately IGNORED all my complaints prior to this DTI mediation. 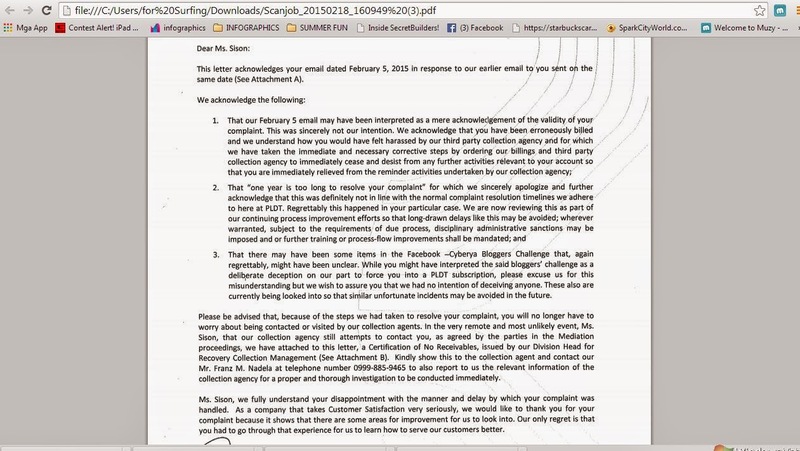 DTI sent the letter of apology dated February 11, 2015 and signed by PLDT VP, Patrick Teng. While still waiting for the original to be sent to my home, I got another call from Franz Nadela confirming my receipt of the docs via email this February 24th. What puzzles me now is that he asked if I submitted a NEW PLDT DSL APPLICATION FORM?! Why is there another person filing DSL application on my behalf? Why didn't PLDT asked for proper identification? I NEVER APPLIED FOR ONE IN MY ENTIRE LIFETIME! With this fiasco, I will not even think of getting a PLDT DSL subscription in the next 20 years! Is this case closed? I don't think so. omg!! !such a scammer!! 'kala ko pa naman ganda ng promo na yan,but now with this, asking you to pay 24k++, what a joke!!!! Hi Emiliana. Just shared your story on all my social media accounts and posted in 2 groups (PRSP and IMMAP). Hope this burden of yours will be over soon. I hope this on-year nightmare ends soon. PLDT is really bad. Sharing this post to all our social media accounts. Please do. Bloggers should not let companies like these take advantage of them. what a scam company! !urgh hope everything will be fine soon! I dont what is PLDT DSL but scamming people is so bad. Wow! Luck winners. I've always wanted Cyberya so I can setup units in our province. Omy good what a nightmare, sorry to hear you are going thru such a hassle. Thanks for exposing them as well! My circumstances is not an isolated case. The other 2 bloggers were exploited as well and left prey to the collection sharks as well. Oh my, it's my first time to know this is happening to you. 'Glad it'd be over soon, I hope. prefix/suffix for the page title: PLDT Pissed me off! PLDT never "owned" the problem. All 3 of us were burdened with difficulty one after another. Damn, maybe Manny Pangilinan can do something about this? I mean, for sure he can quickly do some sort of decision about this? Grabe! What an annoying situation to be in. What is the update of this "scandal"
too bad...hope this will be corrected soon. I was actually researching about this and happy that PLDT is mounting a project for bloggers until i hear this. I will share this to my audience and to my radio show so people will be aware of what happened. It's unfortunate how they concocted a misleading promotion. Their response time is too slow! This is bad press for them. Oh well, they deserve it. It's good that you kept all the records/files to refer to for your complaint. I hope PLDT learns from this fiasco. And I hope it all comes out well for you soon. I commend you for speaking up about this so that all of us are also enlightened on how we should face situations like this and that we should also be cautious in joining all these seemingly good promos. These telcos only care about themselves, about making money. Indeed shame on PLDT for doing this. I'm not even a subscriber to begin with! I hope PLDT fix this issue asap since you have documented everything. I don't think it's hard to understand your complain for PLDT to let it pass unresolved for years. I saw some people who are complaining about PLDT's speed and according to my friends experience the speed connection is capped. We've done some experiments and it proves that they really limiting the speed. DAMN PLDT! Not admitting their fault! Just wanna ask if you got your own LAWYER for this case too? PLDT does not own up to this fiasco. Faking a subscription on my behalf is already a fraud to start with. And to add insult to injury, PLDT let this collection harrassment go on for MORE THAN ONE YEAR. Honestly, I want to join that contest. 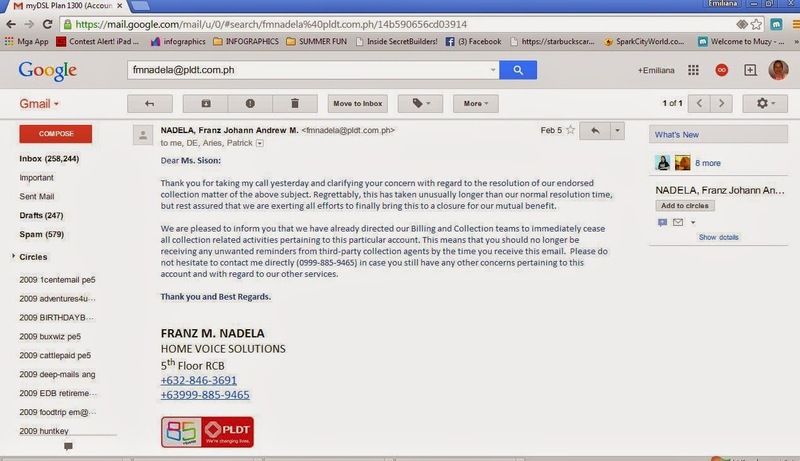 I received email letter from PLDT, but a friend of mine, former head from PLDT MAKATI told me not to join the said promo. I don't know her reason, but I got it now! I conclude, that this promo is a trial and error from CYBERYA and the result is "PALPAK". 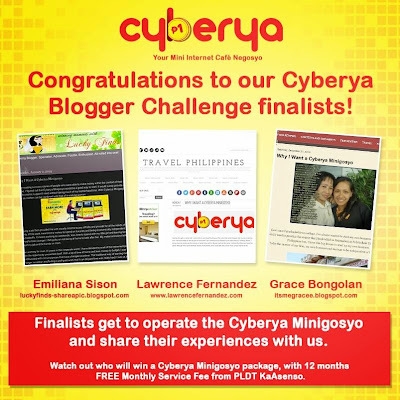 Indeed, this Cyberya promotion is an EPIC FAIL! This is so toxic having to go through a lot of process. I had problems with my PLDT DSL too since there were months that my connection was inactive and I still have to pay so I had it disconnected and it still took them several months I had to pay. Gosh! what a predicament you are in. gonna share this post na lang, so in my little way can help you. 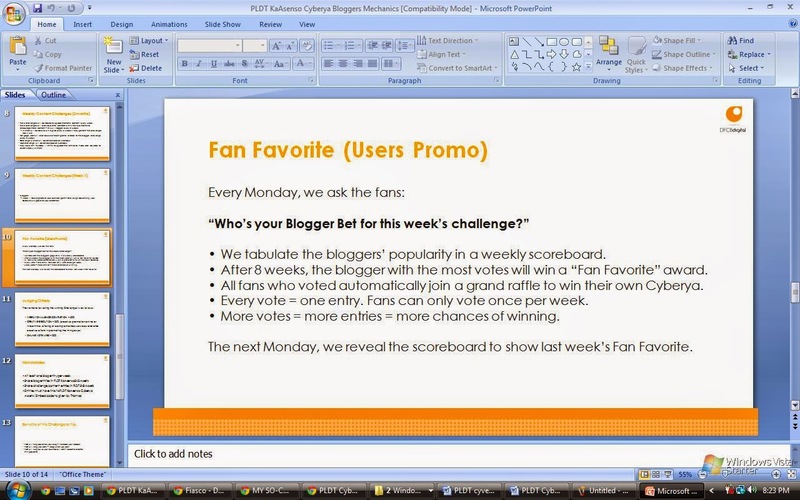 This is what I really don't like about deceptive promotions. They would always think of something that can lure the subscribers to get their product but in the end, you're the one being fooled around from the start! Just recently when they were offering me to upgrade my modem but I'm so skeptical about it since I knew that it's one trick that they want me to be trapped and regret soon. Anding's Toys and Flowers Inc.